The leaders of churches and missions from fourteen Asian countries have joined to form the Asia Missions Association(AMA). At a consultation in Seoul in 1973, they entrusted to Korea International Mission to establish a center of missions research and training in Seoul. To provide the finest training possible, benefiting from the experience of generations of Western missions, the Korea International Mission planned to establish the East-West Center for Missions Research and Development in Korea. The Rev. 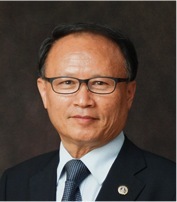 David J. Cho, who had served as the Executive Director of the Consultation, was subsequently appointed by the Continuation Committee as its Secretary-Treasurer. He set a goal of training at least 10,000 Asian missionaries at the Center by the year 2000 A.D. He took an initiative step of establishing the Summer Institute of World Mission in Seoul, right after the All-Asia Mission Consultation Seoul ’73 was held. The Institute was attempted as an experimental project of the permanent East- West Center for Missions Research and Development which is established as a project of the Asia Missions Association. There was no missionary training institute in Asia before this Institute was established. Since 1973, more than 2,000 candidates and local pastors received their training at the Center until the year 1999. All of the candidates had already finished their college or seminary training. The candidates came from India, Pakistan, Indonesia, Malaysia, Philippines, Thailand, Singapore, Hong Kong as well as from Korea. The churches in the East are paving the highways to succeed the unfinished task of the world mission from the West. The project for the task of missions research and training has been steadily materialized. In 1979, the land breaking service was observed and the campus of the Center was constructed and named as PAULINE HOUSE. In 1988, East-West Center for Missions Research and Development represented by Dr. David Cho entered into a memorandum of cooperation with the U.S. Center for World Mission represented by Dr. Ralph W. Winter. In 1999, the Founder, David J. Cho, retired and the Pauline House was transferred to GMS (Global Mission Society). In 2004, a group of leading senior fellow graduates of the Center formed a new Board of the East-West Center for Missions Research and Development and rehabilitate the Center. David J. Cho, the Founder of the Center, appointed Dr. Timothy Kiho Park, Professor of Fuller School of Intercultural Studies, as the new President to succeed David J. Cho’s position to take initiatives for rehabilitation of the Center. Dr. Park incorporated the Center to California State and began reshaping the program and raising fund for the Center rehabilitation. In 2008, Dr. Steve K Eom was appointed general secretary of East West Center for Mission Research and Development.